Will take a set plese! Any chance of a combo deal with the air vent trims too? Just thought I put a pic up of the Z centre caps to my newly refurbed Rays and new set of Bremo cross drilled disc,just needs another clean..!! Could I have a set please, if they're still available? Please ﻿post yo﻿u﻿﻿r enquiry on this thread and I will get back to you on ﻿the ﻿pm. Hi Asad, can i get a set please. I would like to purchase a set too please. Hi Asad, do you do these or are they the same for the 19"rays? Hi, sorry these don’t fit the 370z 19s rays. 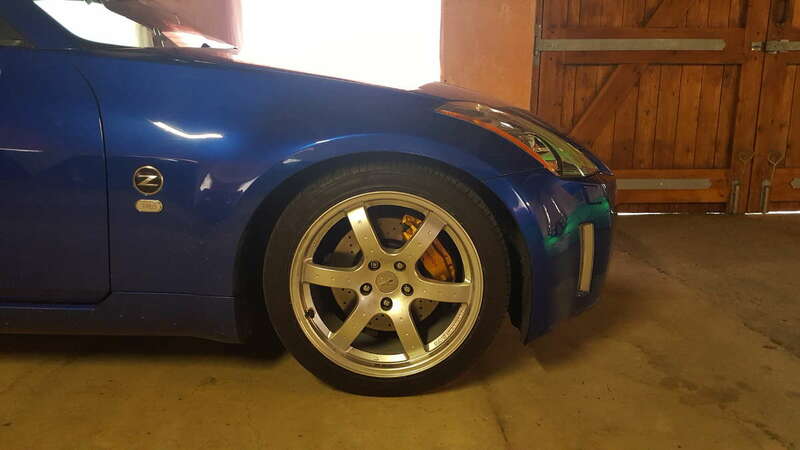 Only fit the 350z 18s rays.